Why is criminal justice reform so elusive, despite decades of angry and pain filled outcries? It’s because we’ve been crying out all wrong! We’ve been attempting to get an uncaring public to care about an entire population they loathe and fear – prisoners – without giving them anything to care about. Sometimes we fail to see the big picture, and when that happens we fail at the entire project. We’ve failed in our effort to see real criminal justice reform because we failed to see the EMPATHY GAP standing in our way. When we failed to see the EMPATHY GAP, we did nothing to close that gap and therefore, our outcries fell on deaf ears. Empathy is the glue that binds people together. Empathy connects people to one another. Empathy lets us care about each other. Without empathy there is no connection between people. If there is no connection, people don’t care. The fact is, unless they have been personally affected by mass incarceration, the general public cares nothing about prisoners they don’t believe they have anything in common with. Therefore, the general public hardly gives a thought to the fact that prisoners actually have families and friends. So they don’t care about prison family members either. The general public sees no connection between themselves and the incarcerated. Therefore, the general public has absolutely no empathy for anyone personally affected by mass incarceration. That results in an EMPATHY GAP that actually prevents the public from caring about criminal justice involved people. Thank you to Kate Boccia and the National Incarceration Association for naming it! Simply put, it is the “Empathy Gap.” It is exactly the reason criminal justice reform efforts rarely or barely result in change, despite all the outcries. PEOPLE JUST DON’T CARE. People have no empathy for prisoners or their loved ones because they don’t find a connection. Before we can expect the public; our legislators; criminal justice officials to respond to our outcries for equitable treatment; for humane treatment we absolutely must close the EMPATHY GAP. That is the only way people will come to care enough to understand why reforms are necessary. Closing the EMPATHY GAP is the only way to achieve the reforms we’ve been futilely attempting to achieve for decades. Trying to do something the same way over and over and over again and expecting different results is INSANITY. We must stop the insanity and do things differently to achieve a different—a desired response. In this case we must stop butting our heads against a brick walled EMPATHY GAP and start closing that gap if we ever expect to see the reforms we desperately seek. Now we are doing something about it that can make a real difference. We’re working to close the Empathy Gap by pointing out similarities; pointing out connections between us so people will care; so people will respond when they hear our outcries. “If we really want change, this is what we should have addressed first!” says InterNational Prisoner’s Family Conference Founder and Chair, Carolyn Esparza. How do you get people to care about a population it not only doesn’t care about, but has come to fear? “You put a face on it!” says Esparza. Indeed, that is exactly what the annual Prisoner’s Family Conference has done with its “Faces of Mass Incarceration” documentary. It has given mass incarceration a FACE to connect with; a FACE to care about. The powerful yet sensitive documentary reduces the “Empathy Gap” by introducing the community to real members of the prison family. Each one belies the erroneous stereotypes and myths that have plagued the prison family for decades. Each face tells of a connection with the general public—i.e. I am a school teacher; I am a father; I am a mother; I am a child being bullied at school; I am just like you—we really do have connections. By reducing the EMPATY GAP, the documentary humanizes the entire prison family. By reducing the EMPATHY GAP, the documentary gives the general public a connection with prison families; a reason to care. Showing the documentary everywhere criminal justice and prison reform issues are discussed further reduces the EMPATHY GAP, providing more and more members of the community a connection; a reason to care. 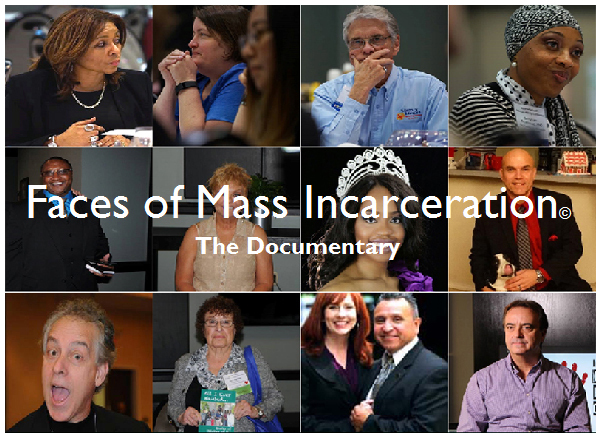 Whether shown in classrooms, boardrooms or churches — wherever mass incarceration issues can be discussed, the film compels meaningful discussion that reduces the EMPATHY GAP and makes room for many of the reforms we seek. Order your download of the documentary along with the facilitator’s guide. Reduce the EMPATHY GAP by putting a face on mass incarceration. I had never thought about it this way before, but this is right on point! We were blown away ourselves when it was brought to our attention. We will be highlighting the Empathy Gap at the 2018 10th anniversary Prisoner’s Family Conference in Dallas in October!